RTÉ is Ireland’s national television broadcaster. 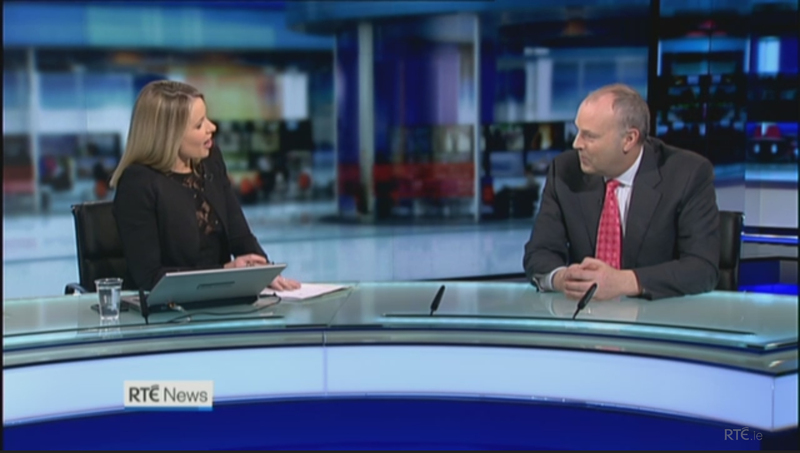 RTE News broadcasts from Studio 3, handling stories from Referendums to European elections in front of a state-of-the-art backdrop featuring three high-bright Barco video walls,which provide a backdrop to the newsroom. 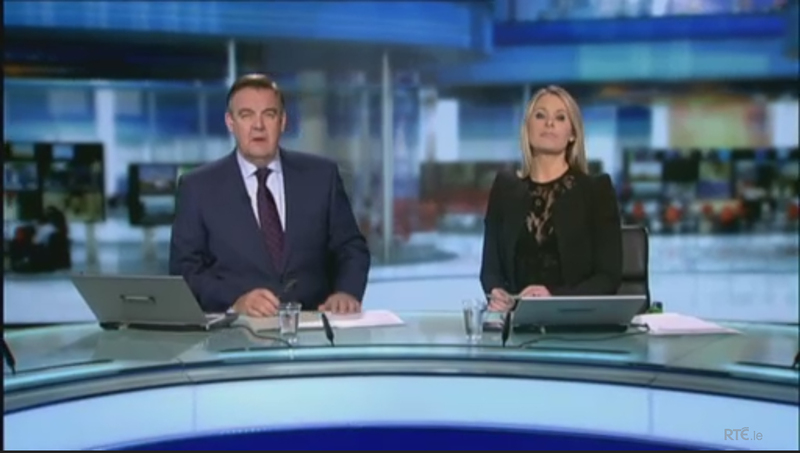 RTÉ News utilizes a physical video Barco wall in the studio (rather than a more common green screen), involving 18 projection cubes and five plasma screens, requiring an image 8,000 pixels by 1,200 pixels. Noho provided the imaging and design for RTE’s first Studio 3 update in 2009, undertaking a massive visualisation process to create a composite image “set” for the backdrop. 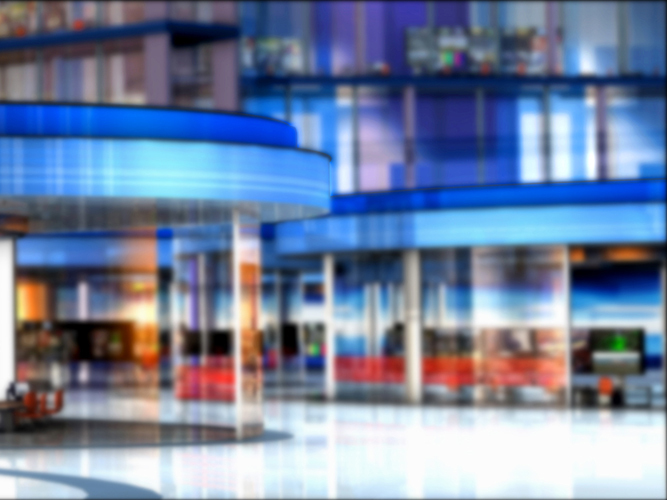 The Studio 3 backdrop was refreshed in 2014, with new images for both the 6 o’clock and 9 o’clock news. The 6pm backdrop is a 3D generated image simulating a studio, with architectural elements and depth built into the model. The 9pm backdrop is a composite image of the Dublin skyline, involving photography, video, and animations which overlap to provide a dramatic panorama. For both backdrops, careful consideration was given to aesthetic requirements of colour and movement, which would be attractive without distracting the viewer. 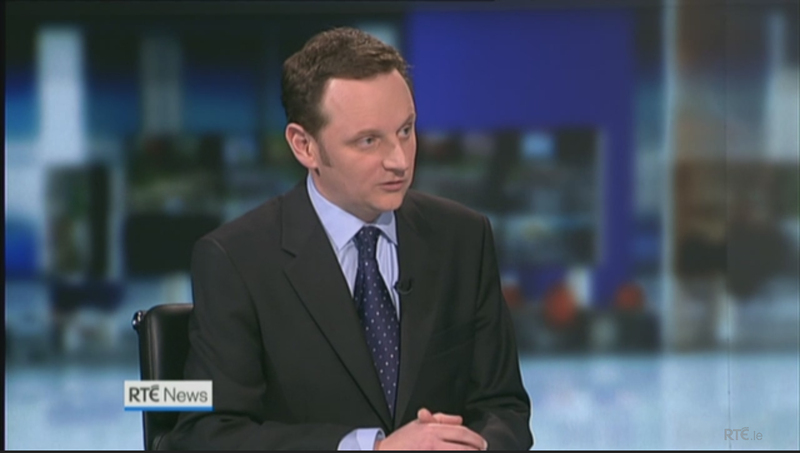 RTE News is viewed by hundreds of thousands of people every evening. We are happy to have provided the backdrop for Ireland’s news and current events for over five years.